Our mining consulting services will increase your mine’s efficiency and facilitate technical services. Let us assist you with your surface rock engineering needs. Geomechanics consulting services are an important component and source of expertise on your project. 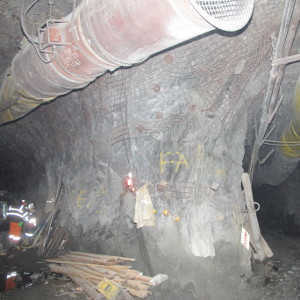 Make use of our expertise in underground rock engineering. We offer data collection and onsite personnel training in relevant Geotechnical Mapping techniques. MDEng specializes in geotechnical core logging techniques tailored to the geological setting. At MDEng, we offer high-level consulting services to the mining and civil engineering industries. Mine Design Engineering provides specialized consulting services to the mining and civil industries. 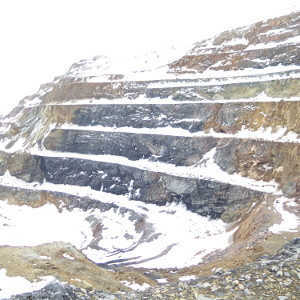 Areas of expertise include rock engineering for underground and surface applications, geomechanics, numerical modelling, landslide mechanics, mine backfill, ground monitoring and rockmass characterization. The footprint of MDEng’s project portfolio has expanded rapidly since incorporation in 2010. We have grown into a global consulting firm with projects across Canada and around the world. Our highly-qualified team of experts will come alongside your mine’s existing personnel and help to formulate plans, implement control systems and suggest operational changes where appropriate that will increase your mine’s efficiency and facilitate technical services. Underground rock engineering is a very specialized field, so it is essential that anyone used in a consulting capacity in this field has sufficient training, capability, experience, and expertise. 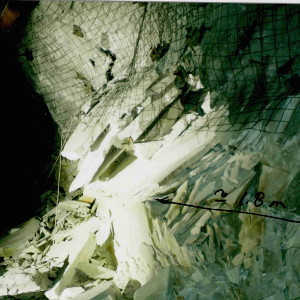 Make use of our expertise in underground rock engineering. Surface rock engineering plays an increasingly vital role in the planning, execution and ongoing monitoring of mining and large civil engineering projects. Let Mine Design Engineering assist you with your surface rock engineering needs. Our experience enables us to seamlessly incorporate technological solutions for your project. The quality of the engineering often makes the difference between success and failure in any technical industry. Without the insight of world-class engineers, the standard of the planning, construction, expansion, and ongoing management and operation of any mine or major civil engineering project is likely to be below standard. This significantly hinders the ability of the operation or project to be safe, efficient, productive, and profitable. Drawing on our experience in the industry and the exceptional knowledge, skills and expertise of our team, we provide mine operators (underground and surface) and heavy civil engineering firms with high-level consulting services that will add tremendous value to any project. 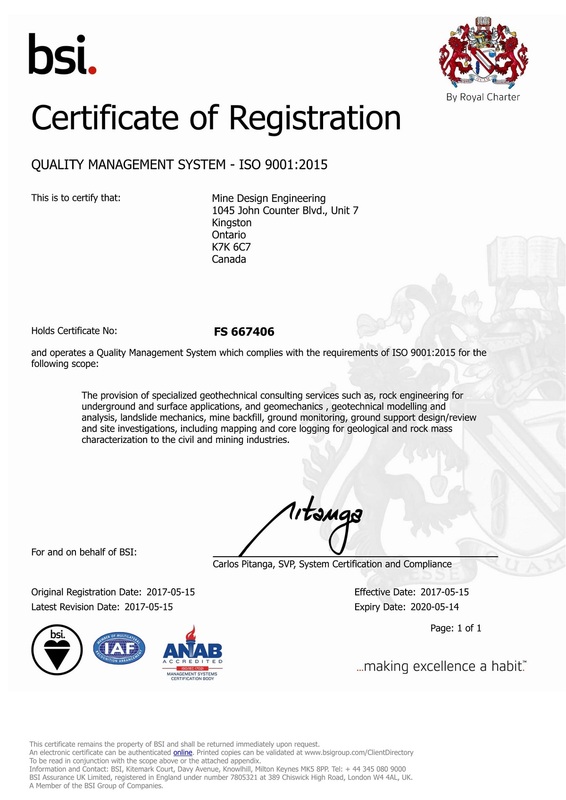 MDEng is a sister company to Mine Design Technologies (MDT), a leading instrument manufacturer and, as such, we are able to seamlessly incorporate technological solutions as part of the overall service offered.